All our 'Bulls Blood' Red Beet Plants are organically grown and shipped in fine quality growing medium. They are guaranteed to arrive alive and ready to plant. Comment: They look amazing! Can’t wait to see how they grow! Comment: The plants arrived quickly and in excellent condition!! Very well packaged in protective containers with advice on planting and care of the plants. I can't wait for the harvest! I'm happy to know that my purchase will provide plants to community gardens. I will definitely order from GrowJoy again and plan to tell my gardening friends about this company!
" Bulls Blood Heirloom Red Beet "
Comment: Never grown beets before. Looking forward to my harvest. Plants arrived in great condition. Comment: I purchased these to use in our brand new hydroponic garden. All 12 plants arrived safe and sound. We had a delay in completing our hydroponic unit but the plants are thriving in their cartons. I will be ordering additional plants soon. 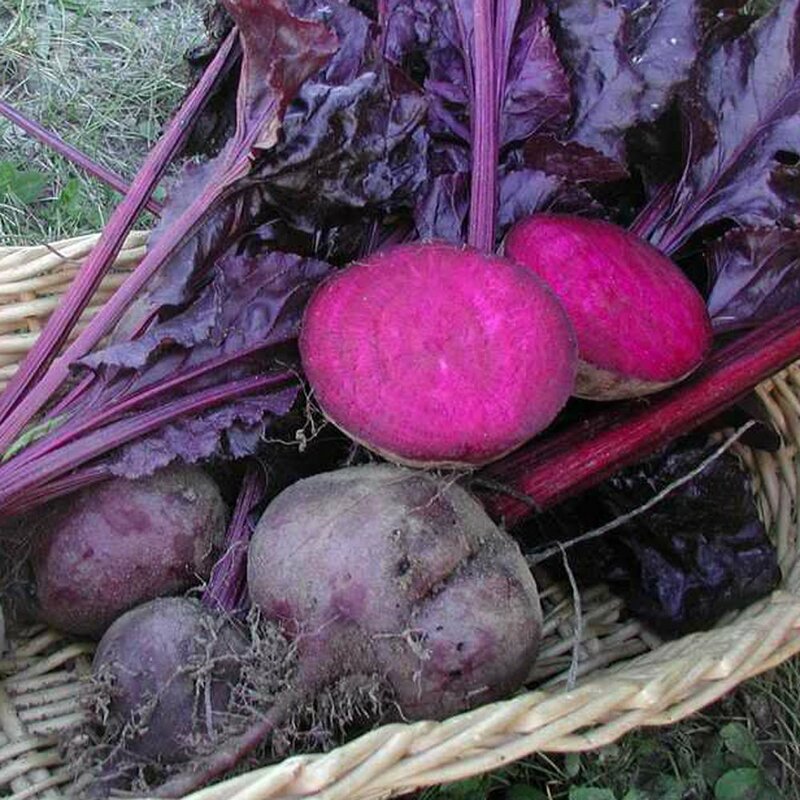 "Bulls Blood Heirloom Red Beet"
Comment: I ordered this and another beet plant together. They both came in an amazing protective container! The second I planted them they started growing new leaves! After hearing that the company gives plants to feed the hungry, I truly knew my money was well spent! Their quality of plants by far exceeds anything else I could buy locally. I'm so happy that I ordered more plants! Since their selection is so huge, I'll be ordering all my plants from them year round! Happy plants! Comment: Beautiful plant. Well packed and sent in a timely manner. Comment: I just pulled my first Beets! Gorgeous, will order again. "More Bulls Blood Beets than expected"
Comment: I loved my experience. The shipping was fast, my plants were packaged with care, and the plants were in healthy condition. I even had more Beet plants than advertised. I'll be ordering again and again. Thanks!